The Temptations set the bar high as Motown Records’ often-imitated but never-matched finest vocal group with the best choreography from its golden era. With classic songs such as “My Girl,” “Cloud Nine,” “Psychedelic Shack,” and “Papa Was a Rollin’ Stone,” the group has garnered 43 Top 10 hits from the 1960s to the ’90s, 15 No. 1 R&B singles, three Grammys, induction into the Grammy Hall of Fame and Rock and Roll Hall of Fame, a star on the Hollywood Walk of Fame, a TV miniseries, and — most recently — a Broadway musical. 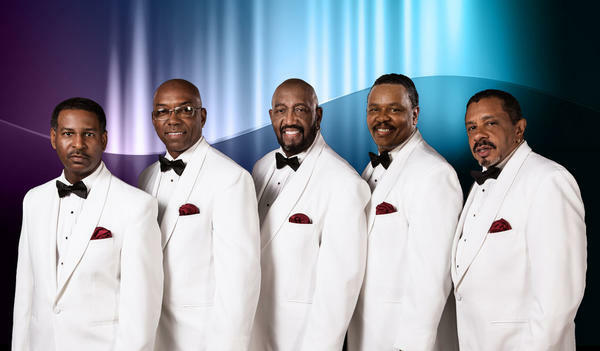 I recently spoke over the phone with Temptations’ leader and baritone singer Otis Williams in advance of the group’s April 12 concert at Ojai’s Libbey Bowl. What was it like working with producer Berry Gordy, choreographer Cholly Atkins, and the Funk Brothers? Did you already sense you would become the Muhammad Ali of R&B groups? [Laughs.] That’s well put! … Motown … was just a wonderful place to be. I had no idea that it would turn out like it did, but I look back on it, and I’m very thankful and blessed to be associated with Berry Gordy, Cholly Atkins, Maurice King, Harvey Fuqua, Shelly Berger — great people that instilled in us being professionals in show business. What are your memories of James Jamerson laying down that beautiful bassline on “My Girl,” and David Ruffin as a lead vocalist? James Jamerson … set the tone for a lot of bass players that are playing today. … He was a magnificent bass player! As far as David Ruffin is concerned … [he] could really sing; then he would throw the microphone up, and spin around and drop to his knees. It was a sight to see. [David] joined [The Temptations] in 1964; at that point, the group consisted of Eddie Kendricks, Paul Williams, Melvin Franklin, and myself; we had to let [former lead vocalist] Al Bryant go — enter David Ruffin. From that point on, we had magic. We already had a name in Detroit, so we just started exploding. David added that extra little fire that helped make the Tempts be known for what we are. Are there any memories you would like to share about Eddie Kendricks, Paul Williams, and Melvin Franklin? Well, Eddie was just a sweet-singing tenor … and he had that little boy’s charm that the girls just loved because he was tall and slim and nice looking. He could stand there and sing in [a cappella], and when it was time for the Tempts to do our part, he was right there with the lot of us. … He was unique in making a lot of the background parts that you hear on a lot of the records, along with myself … [the “Classic Five” era] just turned out to be a very special set of guys. Tell me about Motown artists’ ability to help advance civil rights during the ’60s. That’s the power of music! Music can be such a soothing thing, and it can make you feel a whole other kind of way. It was so crazy back then in the ’60s as far as the civil unrest. And we were right there in the thick of all that craziness. But music would really calm a lot of situations. I remember once when we were down in Columbia, South Carolina, and there was a rope right down the center of the auditorium [segregating the races]. We came back the next year, and there was no rope down the center; blacks and whites were sitting side by side, having a great time. If it wasn’t for the sweating, you would have seen David, Paul, Eddie, Melvin, and myself up onstage crying for the power of our music which brought people together and helped them enjoy themselves through what we were doing. What can you tell me about the current Temptations lineup? The current Temptations include Ron Tyson, Terry Weeks (he’s got a voice on him). … Larry Braggs, a very talented young man who can sing most anything, and our bass singer, Willie Green… I’ve always tried to keep that basso profundo sound because Melvin established that back in the early days when [he] would be growling down there at the bottom, and then we’d have Kendricks up at the top, and all that luscious Gospel-like harmony in between. So Willie [who] is holding it down very good; he’s had years of experience because he used to sing with George Harrison of the Beatles. I’ve aligned myself with guys that have what it takes for the perpetuation of the Tempts for 59 years. The Temptations play Friday, April 12, 5:30 p.m., at the Libbey Bowl (210 S. Signal St., Ojai). Call (888) 645-5006 or seelibbeybowl.org.